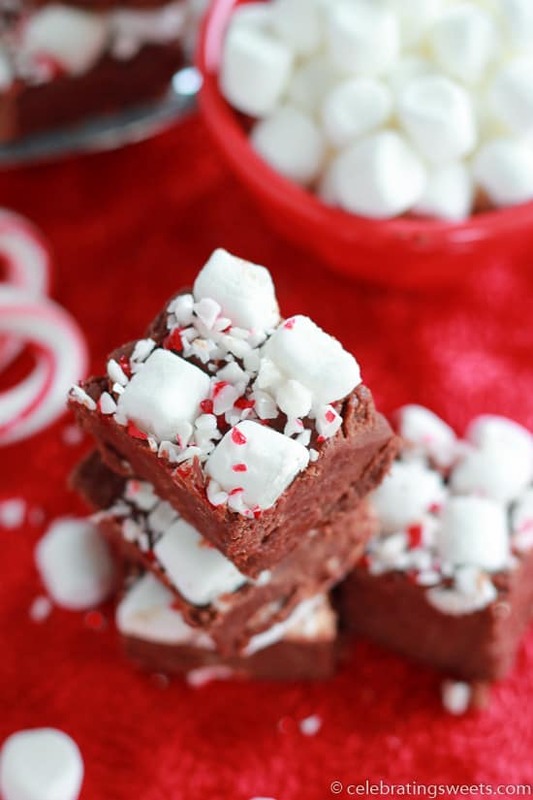 Creamy chocolate peppermint fudge topped with mini-marshmallows and crushed peppermint candy. Hello, friends! 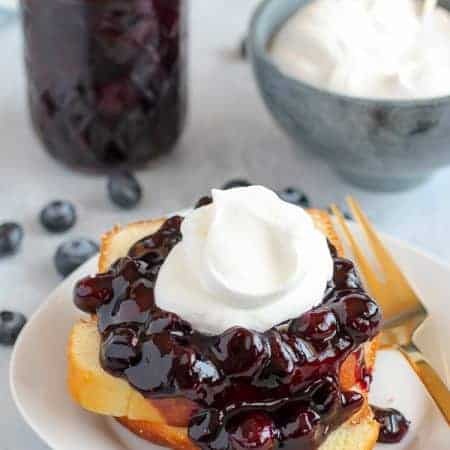 I’m stopping in to wish you all a Merry Christmas and share one last recipe before I sign off for the holiday. If you’re in need of a last minute sweet treat, this fudge is easy and crowd pleasing. 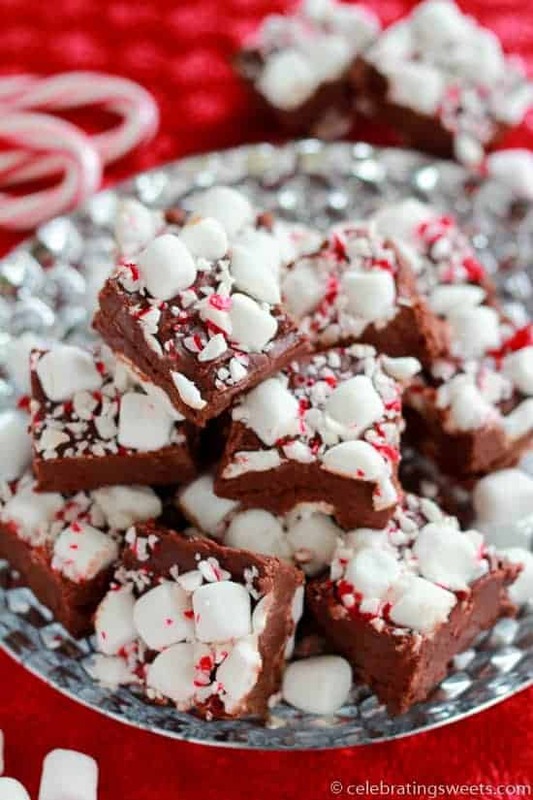 The flavors of chocolate and peppermint make this fudge perfect for this time of year – and the topping of white marshmallows and crushed candy canes make it extra pretty. 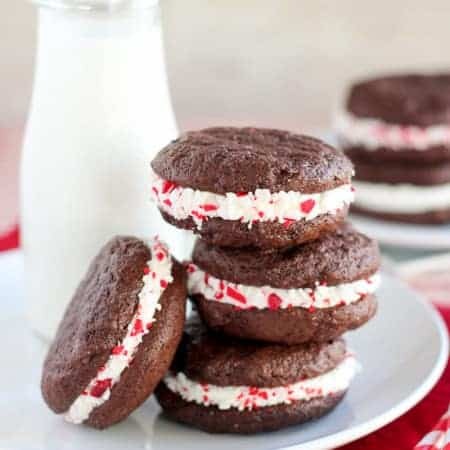 It’s kind of like peppermint hot chocolate in fudge form. 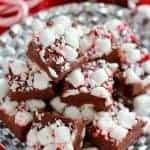 The fudge is creamy and chocolaty, the marshmallows add chewiness, and the candy canes give just the right amount of crunch. Are you sold yet?! It’s good stuff! P.S. I cut into this fudge before it was all the way set (I was hurrying to snap these photos while my two kiddos were napping). If you let the fudge set for a couple hours in the fridge, yours will cut much cleaner. Enjoy! Line an 8-inch square baking pan with foil and spray it with non-stick spray. Combine sugar, milk, butter, and salt in a medium saucepan. Bring to a boil over medium heat, stirring constantly. Continue stirring, and boil for 4-5 minutes. Remove from the heat and stir in 2 cups marshmallows, chocolate chips, and peppermint extract. Stir vigorously until marshmallows and chocolate chips are melted. Quickly pour into prepared pan (work quickly, the fudge will start to firm up). 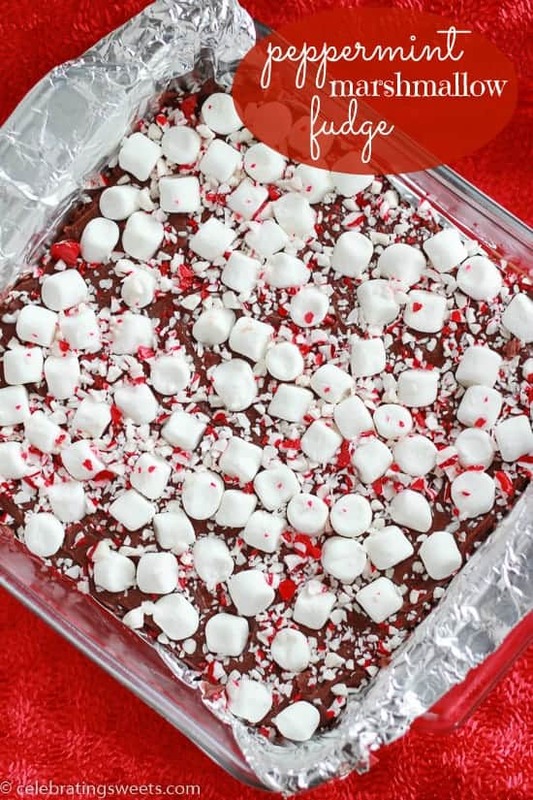 Sprinkle the remaining 1 1/2 cups marshmallows onto the top of the fudge, and then sprinkle the crushed peppermint candy on top of that. Lightly press the marshmallows onto the fudge to help them stick. 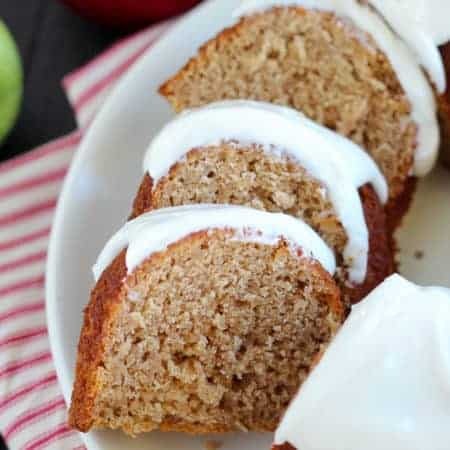 Refrigerate for several hours, or until firm. Cut and serve. Thanks, Jess! It’s one of my favorites too!